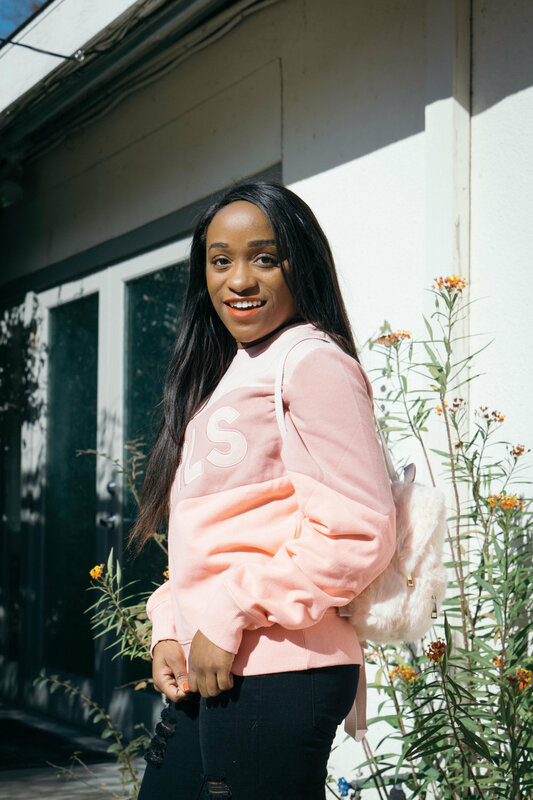 I came back to le blog real quick to celebrate this day and month of female empowerment, acknowledgement and action with a fashion staple you need: the pink power sweatshirt. Much like the power suit is a necessity in every woman's wardrobe, the power sweatshirt is the perfect piece for expressing your feminist feels the cozy way. Today's healthy dose of girl power comes to you in the form of this bestselling sweatshirt from The Style Club. OK so if the millennial pink colorblock style hasn't already convinced you to add this lil baby to cart, let me break down how amazing this piece will feel when you wear it. The super soft and durable, weighted cotton/poly blend makes this sweatshirt a perfect transition addition to your spring wardrobe. The sweatshirt fits true to size and is meant to be worn fitted, so if you're looking to have a little more wiggle room, order one size up than you normally wear. Fair warning: because this sweatshirt is in such high demand, it's currently out of stock. But don't fret, bb! You can still pre-order a sweatshirt and get it shipped as soon as the reup hits. 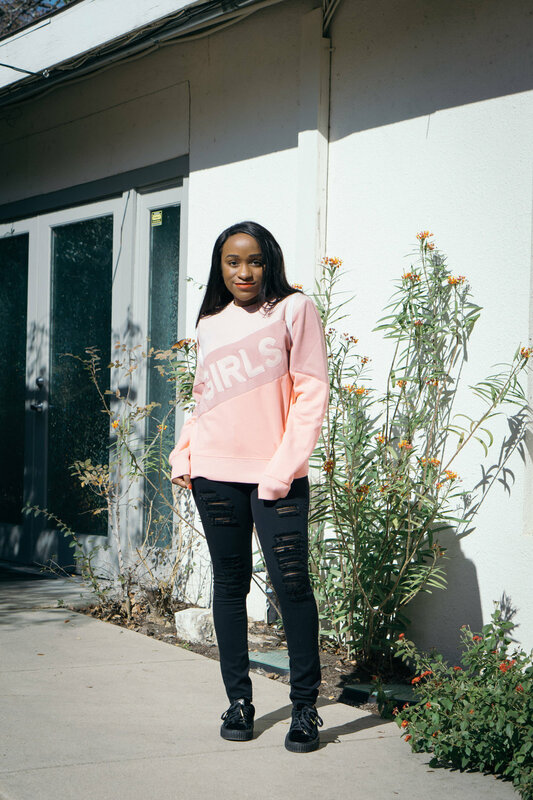 If you absolutely cannot wait or if pink isn't exactly your favorite color🤷🏾‍♀️, grab the tan GIRLS sweatshirt instead. Who run the 🌍? GIRLS! Love you girl, mean it!